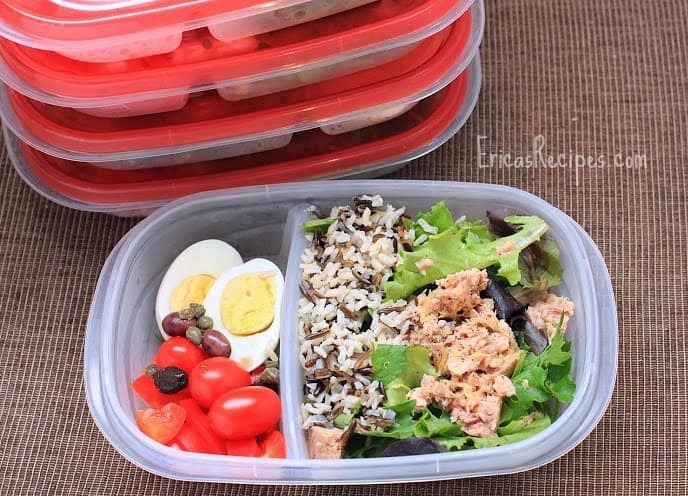 Keep yourself eating healthy lunches during your workweek with this make-ahead, meal-prep easy Wild Rice and Tuna Nicoise Salad. 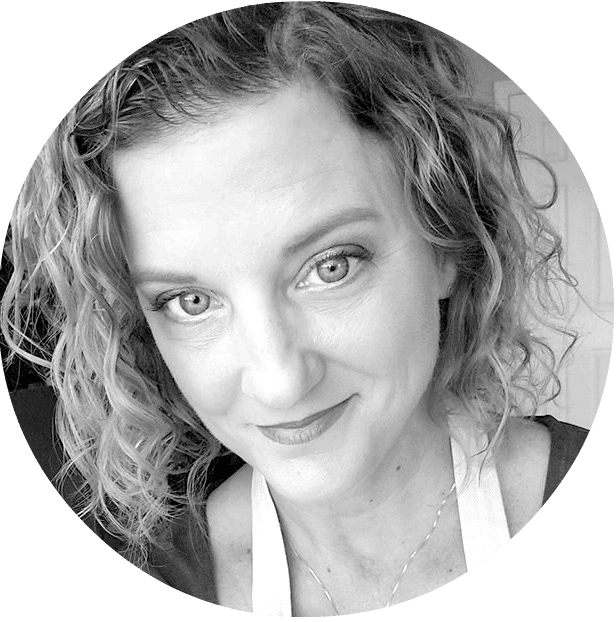 This is the fourth installment in my Healthy Week: Lunches series! I’m a huge proponent of pre-making my lunches for the week. This week, I’m focusing on healthy carbs and fats getting ready for my first ever half marathon December 1st. For lunch, I’m having healthy carbs from brown and wild rice and healthy fats from the tuna and olive oil. The vitamins and antioxidants from the greens and veggies are bonus. Cook the rice according to my Perfect Brown Rice directions, except boil the wild rice 20 minutes, then add the brown rice and boil both 30 minutes. Proceed as per the recipe. Cool completely and toss with 1/2 t kosher salt. I keep the salad components separated until I'm ready to eat (see photo), but each salad consists of the following: an egg, a couple grape tomatoes, capers, nicoise olives, chopped red bell pepper, 1/2 c tuna (drain off only half the oil), a handful of salad greens, and a pinch fresh cracked pepper. When I'm ready to eat, I add 1/3 c rice (give the rice a quick zap in the microwave; cold rice is not good) and a squeeze of fresh lemon. The olive oil from the tuna will pair with the lemon juice to dress the salad. Yields: 5 servings.